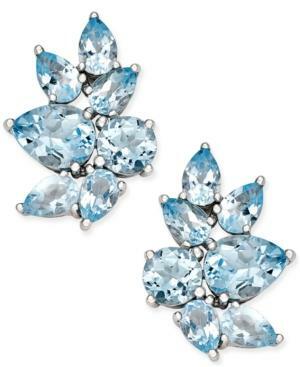 Indulge in the remarkable blue sparkle of these pear-and round-shape blue topaz drop earrings (10 ct. t.w.) set in sterling silver. Approximate drop: 7/8.